Sponge on a Stick Body Applicator - 8" long. It provides the extra reach your clients need to easily apply lotion, sunscreen, and sunless tanner to their own back. Professional Non absorbing Sponge on a Stick. 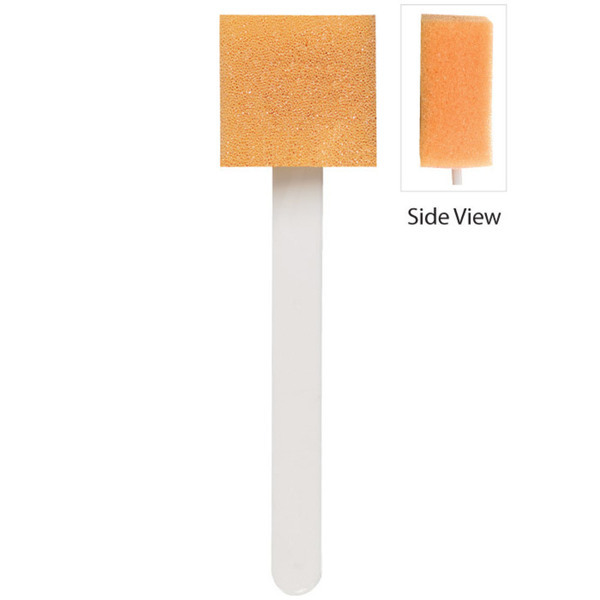 This sponge on a stick was designed for body applications and hard to reach areas. A must for first time users. It guides the novice on how the product works and how much product is actually necessary. It blends the sunless tanning spray , lotion, and mousse perfectly. Lets you dilute the application by wetting the sponge first. This will breakdown the product for a lighter or darker application. Material: Polyurethane sponge. Polystyrene handle.